Malrod takes its responsibility towards health and safety with the utmost regard towards its employees and members of the public who come into contact with the Company’s operations. Our people are the driving force behind our continued growth and we do not underestimate the importance of investing in training and personal development. To maintain this level of proficiency, Malrod employs the services of a professional Health and Safety Consultant to ensure that we are always kept up to date and in compliance with the latest health and safety matters. We are regularly undertaking contracts which require compliance to CDM (Construction Design and Management) and always complete site specific risk assessments, method statements and provide COSHH information for health and safety manuals. Malrod are long-standing members of ACAD and have achieved the prestigious Quality Assurance Award, SAAS (Site Audit Accreditation Scheme). All of our operatives are CSCS (Construction Skills Certification Scheme) compliant, and we have an exemplary record of health and safety to date and we will continue to commit resources in an effort to maintain this standard. 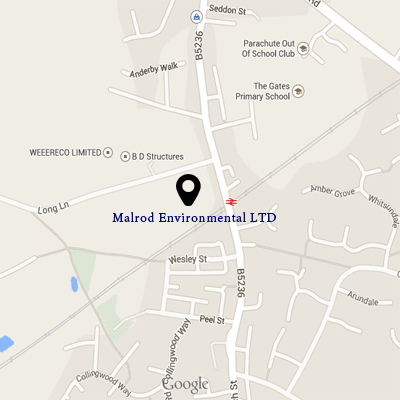 Malrod are also members of CHAS (Contractors Health and Safety Assessment Scheme) , Acclaimed and Constructionline. A copy of these membership certificates are under our accreditation’s section. In addition, we are also in the process of gaining ISO9001:14001 and 18001 Accreditation’s. Furthermore, additional to our annual asbestos training, most of our employees hold Fire Marshall, First Aid, Manual Handling, PASMA, IPAF, Confined Space, Safestrip System, Quill Falcon and Scafftag Assessment Training. Click here for further asbestos information.